Pet Emergency? Call us right away at 573-883-2345! Thank you for considering the Animal Clinic of Ste. Genevieve for your pets healthcare needs. Your pets' health and wellbeing are very important to us, and we take every possible measure to give your animals the care they deserve. Our goal is optimal health care and preventative medicine, while treating your pets as if they were our own. 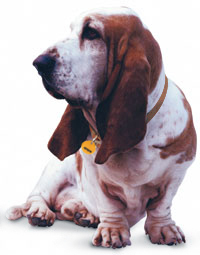 Our staff is committed to providing personal attention to the unique concerns of each individual pet owner. Animal Clinic of Ste. Genevieve LLC is a full service animal hospital which includes, preventative care, internal & general medicine , surgery, dentistry, laboratory diagnosis, diagnostic imaging (x-ray and ultrasound) as well as emergency treatment cases, and we offer pet boarding. Dr. Michael White has years of experience treating serious conditions and offering regular pet wellness care. We are happy to offer a number of resources that enable you to learn about how to take better care of your pets. Please feel free to browse our site, particularly the informational articles. The best veterinary care for animals is ongoing nutrition and problem prevention, so becoming knowledgeable about preventative pet care is essential to the ongoing success of your animal’s health. If you have any questions, call 573-883-2345 or email us and we'll promptly get back to you. Our Ste. Genevieve veterinarian office is very easy to get to -- and you can find directions on our Contact Us page! We also welcome you to subscribe to our newsletter, which is created especially for our pet owners. At Animal Clinic of Ste. Genevieve LLC, we treat your pets like the valued family members they are.